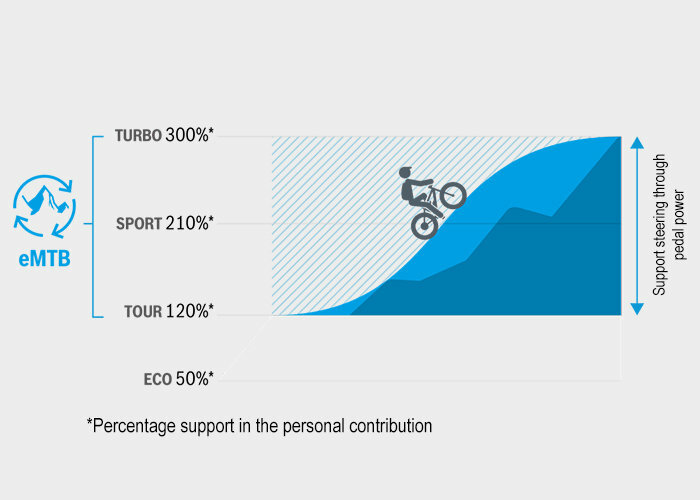 The eMTB Mode is for the former eMountainbikers which varies the mode through eco to turbo. With torque up to 75Nm the engine contributes between 120% and 300%. The eMTB mode works when applying pressure to the pedals, the motor then adjusts automatically to the individual way you are riding. So more pressure you add to the pedals the more assistance you will receive automatically without the trigger. The engine supports slight RPMs which makes the ride on steep slopes effortless and enjoyable, so moving forward on the terrain is a much more natural riding experience. Designed specifically for sport: Powerful support up to 300 % for a completely new riding sensation – also uphill. Direct changing of gears: Ensures sports acceleration on the terrain and reduces the wear and tear of the components. Durable and strong: At high RPM with a continuous maximum torque (75 Nm) on trails along the way. Minor rotation with a big impact: Foot on the pedal and directly in the flow, already at 20 U/min with power from the turn. 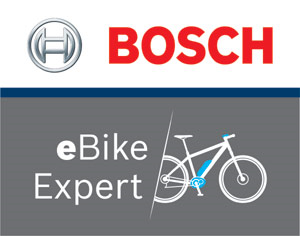 Efficient: Bosch Drive Units distinguish themselves with full performance also at high workload.